Renji John works in the areas of technology & digital strategy, customer loyalty, data analytics & business intelligence within the services and retail industries. 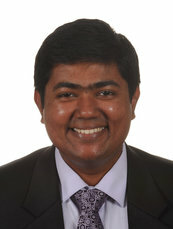 He holds an undergraduate degree in Mechanical Engineering and an MBA from INSEAD. Prior to founding CashOrCard POS (formerly Buzzoek), he worked at Vodafone Netherlands as a Program Manager in their Commercial Operations business unit. He is an active participant in the startup scene in Amsterdam and a mentor at Startupbootcamp, InnoLeaps & Startup Next. Building a company up from scratch is not a 1-person job. I have been lucky enough to have a great support network in the form of mentors, investors and partners who work hard to make sure we succeed. Mentoring new startups is my way of paying it forward.